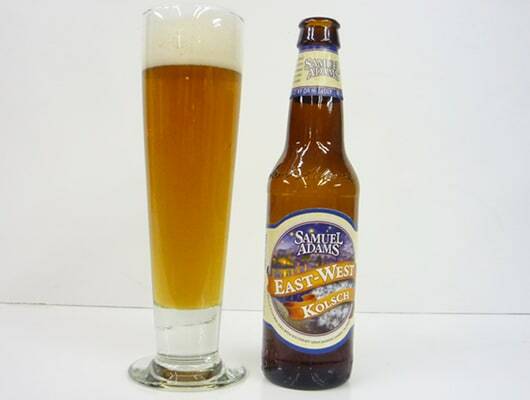 For summer, Sam Adams rolls out a number of different seasonals, some of which we&apos;ve seen before, some we haven&apos;t. We got our hands on the East West Kölsch, a brand new beer from the Boston brewery. A Kölsch is a light, hoppy beer unique to Cologne. Sam Adams&apos; unique take on the Kölsch involves aging the beer on a bed of Jasmine Sambac, a Southeast Asian flower. Once opened, the floral aroma coming off the beer is strong, almost overpowering. However, the scent is a false alarm; the taste is far less pronounced. In the glass, the East West has a champagne-like head but with a darker brass color. The East West tastes like lemongrass and finishes with a slightly bitter blandness. Ultimately, all the talk of flowers has more to do with the smell than the taste, creating a strange disconnect. We&apos;re hoping the rest of the brewery&apos;s new seasonals are a bit more exciting because the East West Kölsch is forgettable.